The short, inspirational Christmas story below reveals the true spirit and meaning of Christmas. It was originally published in the December 14, 1982 issue of Woman's Day magazine. This moving story inspired the creation of The White Envelope Project, a caring nonprofit organization dedicated to developing the next generation of givers, civic leaders, and philanthropists. It's just a small, white envelope stuck among the branches of our Christmas tree. No name, no identification, no inscription. It has peeked through the branches of our tree for the past ten years. It all began because my husband Mike hated Christmas. Oh, not the true meaning of Christmas, but the commercial aspects of it – overspending and the frantic running around at the last minute to get a tie for Uncle Harry and the dusting powder for Grandma – the gifts given in desperation because you couldn't think of anything else. Well, we ended up walloping them. We took every weight class. Mike, seated beside me, shook his head sadly, "I wish just one of them could have won," he said. "They have a lot of potential, but losing like this could take the heart right out of them." Mike loved kids – all kids. He so enjoyed coaching little league football, baseball and lacrosse. That's when the idea for his present came. Mike's smile was the brightest thing about Christmas that year. And that same bright smile lit up succeeding years. For each Christmas, I followed the tradition – one year sending a group of mentally handicapped youngsters to a hockey game, another year a check to a pair of elderly brothers whose home had burned to the ground the week before Christmas, and on and on. The story doesn't end there. You see, we lost Mike last year due to dreaded cancer. When Christmas rolled around, I was still so wrapped in grief that I barely got the tree up. 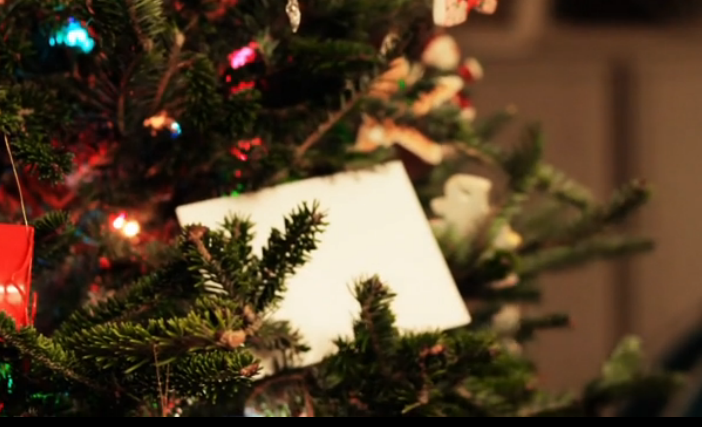 But Christmas Eve found me placing an envelope on the tree. And the next morning, I found it was magically joined by three more. Unbeknownst to the others, each of our three children had for the first time placed a white envelope on the tree for their dad. The tradition has grown and someday will expand even further with our grandchildren standing to take down that special envelope. Note: To see the inspiring organization that was born out of this moving Christmas story, click here. For several other short, inspiring stories revealing the meaning of Christmas, click here.